Allow me to share a cute portrait. Mocca looks smarter with a pair of glasses. This pic captured by a nephew while my other niece held the glasses from the back. 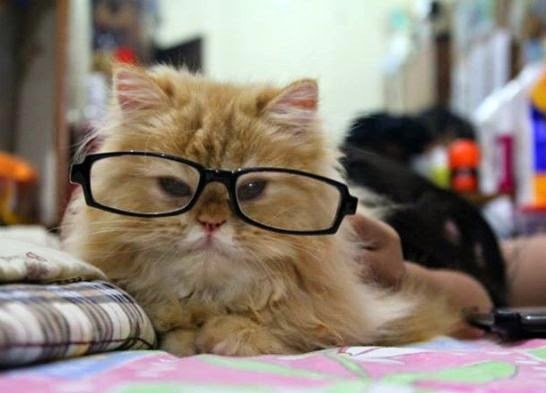 Very intelligent looking. Hope your weekend goes well. That cat looks so cute I could kiss him. Happy Caturday. Adorable! So sweet ~ Great shot! So cute! He looks very smart. Há há! :=) So cute, and such a fun photo. Mocca is so cute and smart! Thank you for linking up, so sorry I am late commenting!